It seems Carl's Jr. and Hardee's locations are taking some inspiration from one of our favorite childhood breakfast cereals. Their newest dessert features one in the form of Froot Loops Mini Donuts. 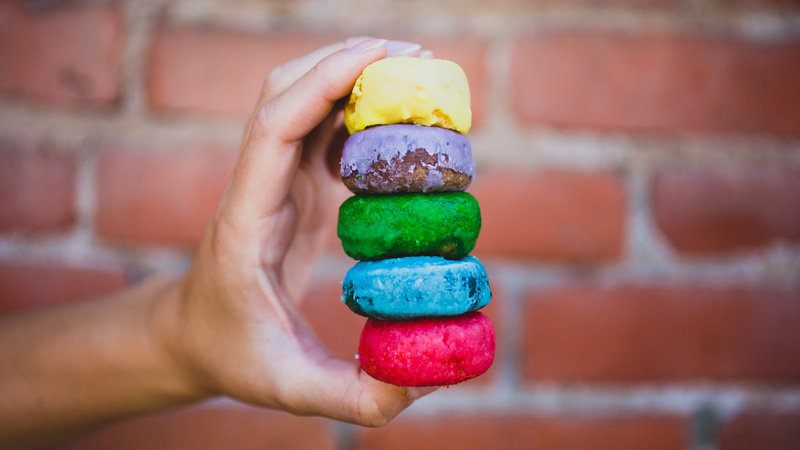 Guests of the two chains can order them in sets of five, with each donut sporting a different color (Red, Blue, Green, Purple, Yellow) resembling the iconic cereal. The donuts are said to actually taste like Froot Loops too, you just won't need to douse milk all over them. I mean, you can, you just won't need to. 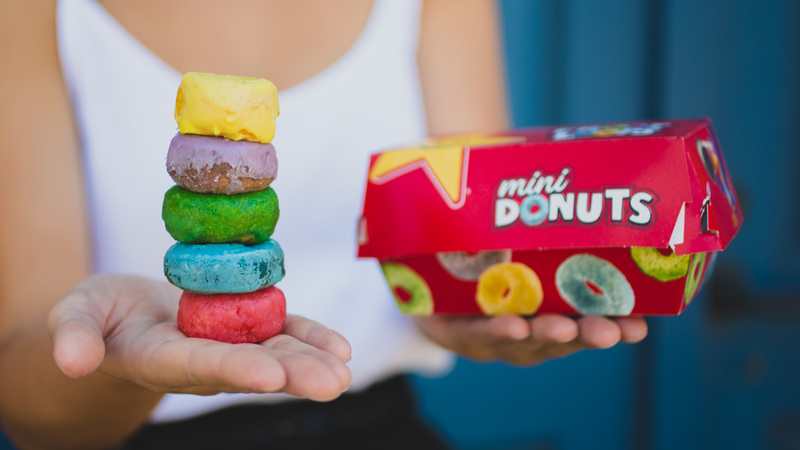 The Froot Loops Mini Donuts will be available at participating Carl's Jr. and Hardee's locations nationwide beginning Wednesday Aug. 29. We haven't seen anything this colorful come from a fast food chain since Taco Bell launched those icing-filled Cap'n Crunch Bites. In a time of social media dominance, this Instagram-friendly new addition, paired with that hint of '90s nostalgia, might just be the winning combination for Carl's Jr.